Applications to the Pret School Leavers Programme (SLP) are now open. 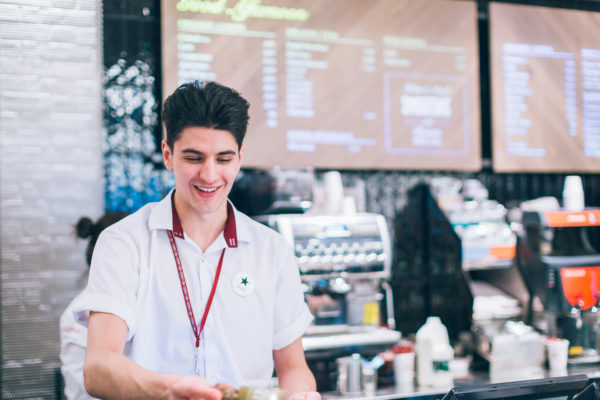 Now in its sixth year, Pret hopes to recruit up to 120 participants, with various start dates scheduled over the next few months. The aim of the year-long programme is to give young people the opportunity and support to start their careers straight away, while also gaining an apprenticeship. 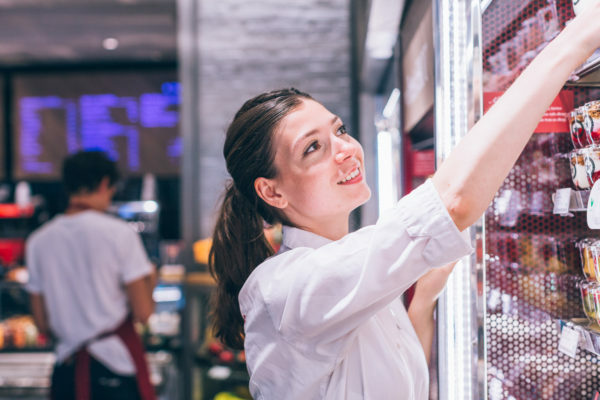 Available to school leavers, gap year students and recent graduates across the UK, each successful applicant is given a full-time shop based role, with additional training, support and work skills courses. more or to register their interest. I finished my second year of college last summer and really wasn’t sure how I felt about going straight off to uni. Eventually I broke the news to my parents, with mixed reactions. My dad had never been to uni so he didn’t really see what the fuss was about. My mum however did go to uni and was even a lecturer. She was concerned, but she was the one who found the Pret School Leavers Programme advert and showed it to me. Apprenticeships were always given a bad light by teachers at school, so when I read all of the details of the SLP and saw the great pay and benefits, I was really excited at the prospect of working for the little sandwich shop I used to visit with my mum when I was young. stepped into the Pret Academy, I told myself “Just be Jordan and you’ll be fine”, and it clearly went well! I found out earlier this summer that I’ve been accepted into university to study Sports Journalism this September. After taking a year out and being a part of the Pret SLP, I am so glad I decided to wait. The experience and skills that I have picked up over the course of the year have been priceless and I think they have set me up for university and for life after. I have developed such good friendships with some of the people in my shop that when I told my colleague I would be leaving for university in September, I saw her eyes well up! Pret has changed me as a person in many ways. I feel like I smile more and I’m more empathetic and approachable. 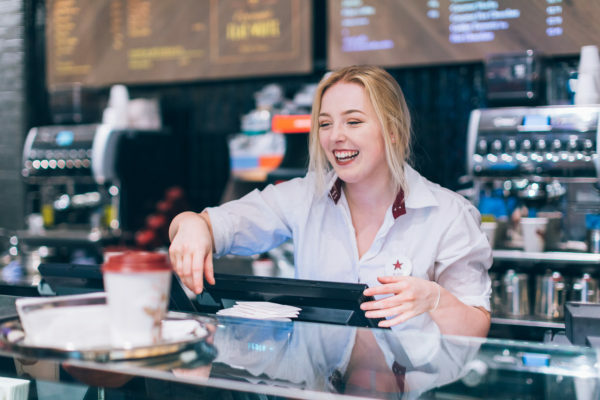 Pret has allowed me to be myself and has also given me time to figure out exactly what I want to do, whilst also saving money, making friends and learning skills. I can honestly say to anyone thinking of joining the SLP, it’s the best decision that I’ve made, and it’s not your average apprenticeship!